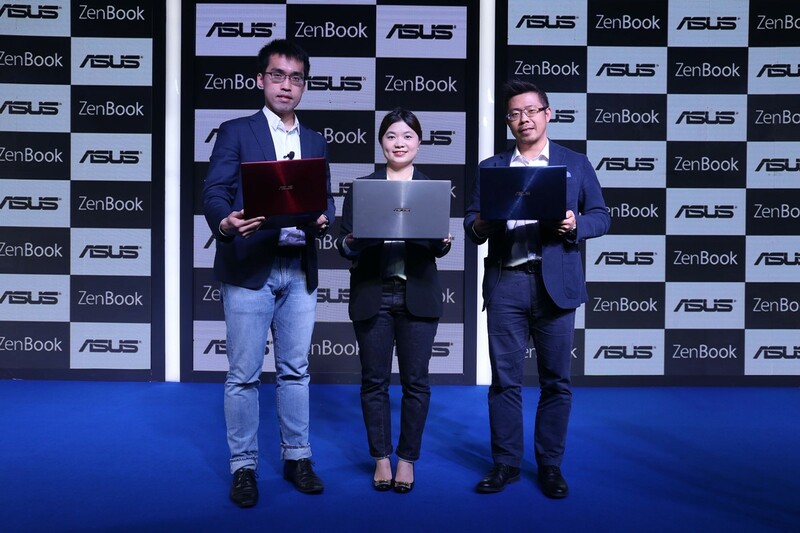 Asus has launched the 2019 ZenBook UX series that includes ZenBook 13 UX333, ZenBook 14 UX433 and ZenBook 15 UX533 at an event in the capital today. Previously unveiled at IFA 2018, the laptops come in screen sizes of 13.3″ , 14″ and 15.6″. The company claims the trinity to be the world’s most compact laptops that come with a new frameless ASUS NanoEdge display. Due to the ultra slim bezels on all 4 sides, this leads to a screen-to-body ratio of 95%. What’s more impressive is how a Windows Hello compatible HD IR webcam has been incorporated along the top edge unlike other slim laptops where it is located at the bottom near the keyboard area. An ErgoLift hinge mechanism helps tilt the keyboard for comfortable typing similar to how the level of elevation can be changed on a desktop keyboard. This also has the added benefit of dissipating heat and improving audio by acting as an echo chamber. All this design engineering has lead to a very small footprint overall. 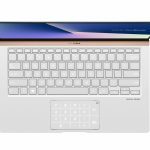 ZenBook 13 and 14 have introduced an LED illuminated numeric keypad that has been built into the touchpad. This can be toggled very quickly with the press of a button located at the top-right edge of the touchpad making it very convenient. Coming to the specifications, the latest 8th Generation Intel CPU, Nvidia Geforce MX150 (ZenBook 14 and 15)/Nvidia Geforce GTX 1050 Max-Q discrete graphics (ZenBook 15), upto 16GB DDR4 RAM, PCIe SSD and integrated Gigabit Wi-Fi optimised for Intel Wireless-AC 9560 have been used. While the panel size is of course different, the FHD NanoEdge display with 178 degree wide-view technology and 72% NTSC colour gamut remains common across all models. 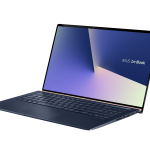 The smaller laptops have to make do with a 50W battery providing around 14 hours whereas ZenBook 15 has a 73W battery capable of upto 16 hours of battery life. The series has passed the MIL-STD-810G military standard comprising of rigorous tests including environmental extremes of altitude, temperature, humidity along with drop, shock and vibration testing. 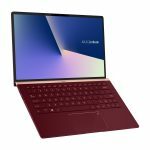 Coming to the ports, there are USB Type-C 3.1 Gen 2, USB Type-A (upto 10Gbps), USB Type-A (Upto 5Gbps- ZenBook 15) and USB 2.0 (ZenBook 13/14). All three include a full-sized HDMI port and microSD/SD card reader and Bluetooth 5.0 for connection to a wide array of peripherals and accessories. The entire range will be available for sale online on Amazon, FlipKart and PayTM and offline from 30 January. Pricing starts from Rs.71,990 for UX333, Rs. 72,990 for UX433 and Rs.1,39,990 for UX533.